For Such As These: Taking Off! 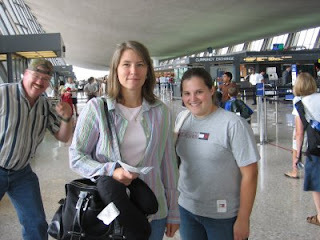 Here Casey and Chrissy are at the Dulles Airport getting ready to take off to Ethiopia! I'm sooo excited, it really hit me to see you at the airport! Can't wait to meet him!! (who is the "guy" behind you in the pic)? Be safe and see you "both" soon! !Love DanaL.